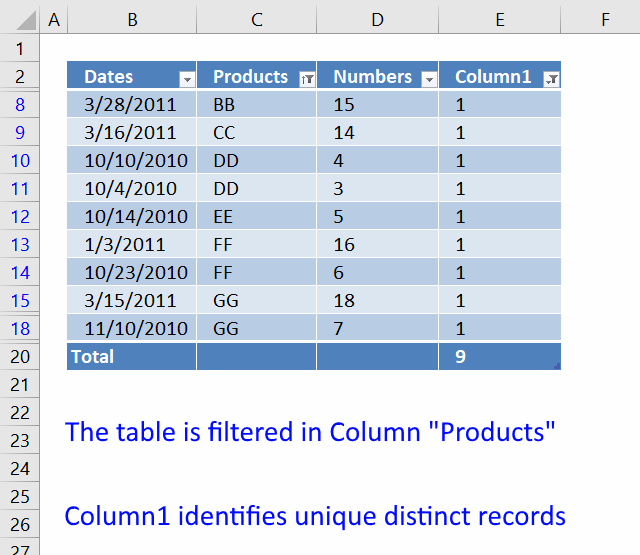 The difference with today's blog post is that you also can add more filters to your Excel Table, making the Excel Table a lot more useful and powerful. 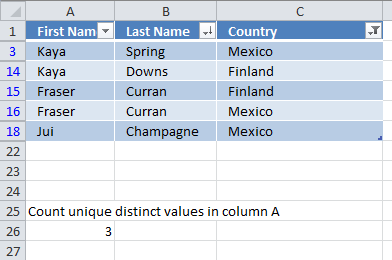 The COUNTIFS function was introduced in Excel 2007 and it calculates the number of cells across multiple ranges that equals all given conditions. 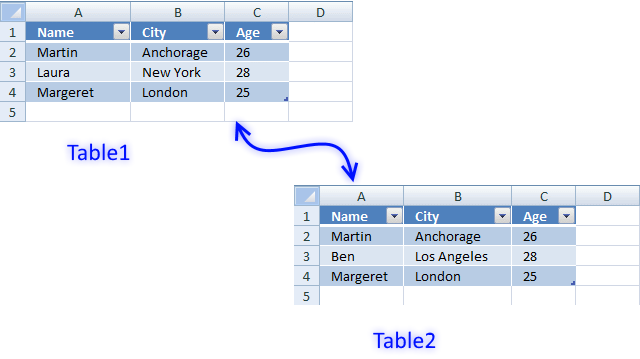 The criteria_range1 and criteria1 is one pair, there must be as many pairs as there are columns in your data set. 1 $B$3:B3 B3 Is value in cell B3 found in cell range $B$3:B3? 2 $C$3:C3 C3 Is value in cell C3 found in cell range $C$3:C3? 3 $D$3:D3 D3 Is value in cell D3 found in cell range $D$3:D3? 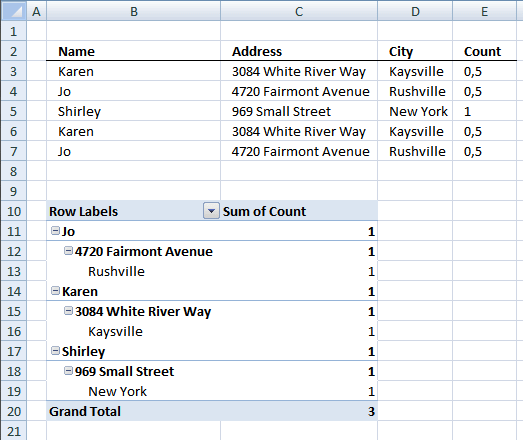 Note, all references in the criteria_ranges grow when the cell is copied to cells below. 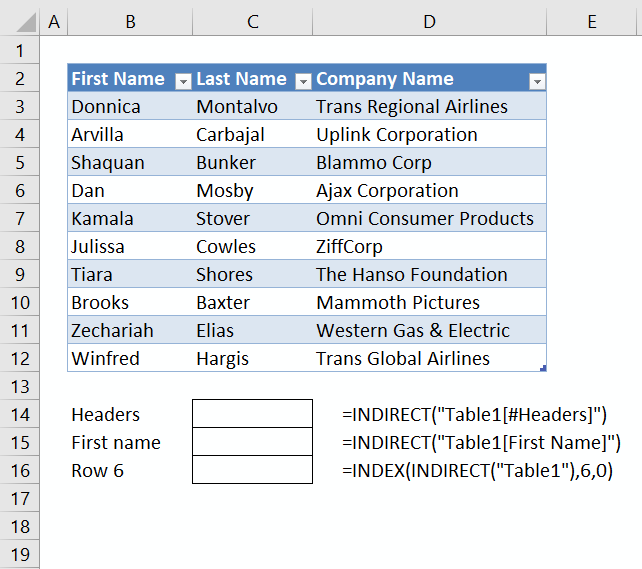 Example, $B$3:B3 contains an absolute part $B$3 indicated by the $ (dollar) signs and a relative part B3 that changes in cells below. $B$3:B3 returns 40475 and B3 returns 40475. 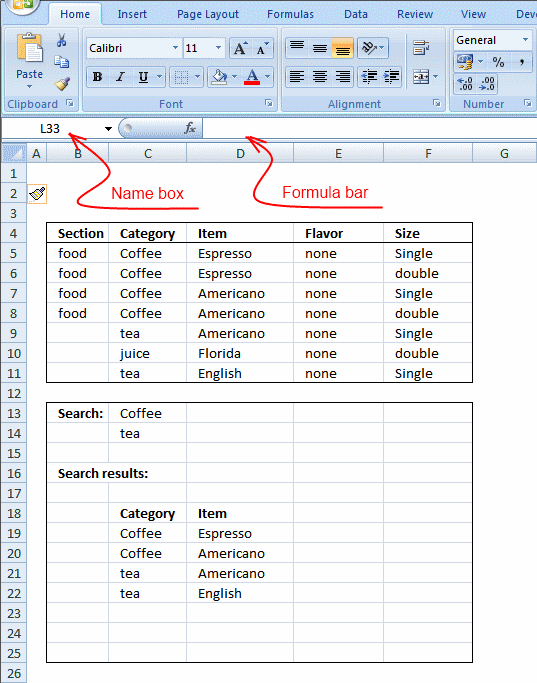 The value in cell B3 is found once in cell range $B$3:B3. $C$3:C3 returns "AA" and C3 returns "AA". The value in cell C3 is found once in cell range $C$3:C3. $D$3:D3 returns 1 and D3 returns 1. 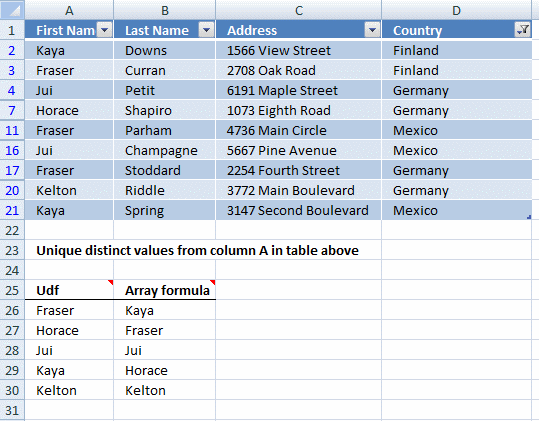 The value in cell D3 is found once in cell range $D$3:D3. 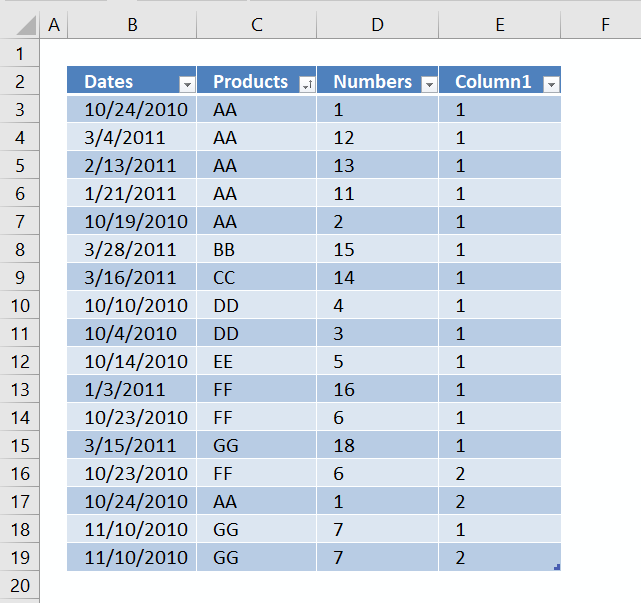 The COUNTIFS function returns 1 because all argument pairs return 1 meaning this record in row 3 is a unique distinct record, however, there might be duplicate records further down the list. 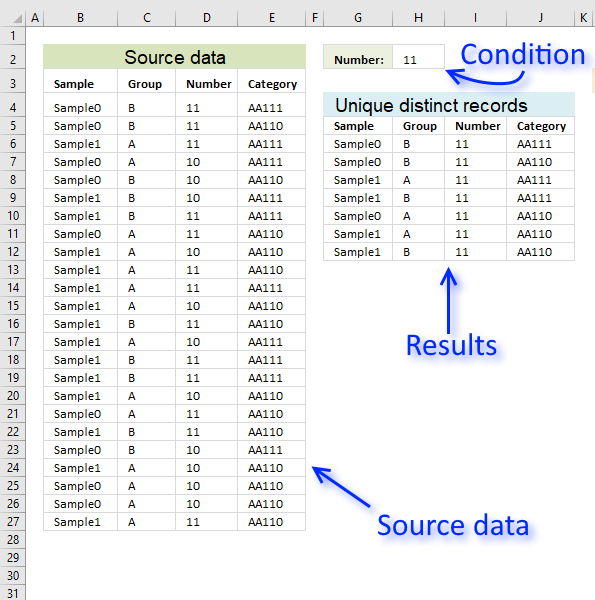 The image above shows that row 16, 17 and 19 contain duplicate records. 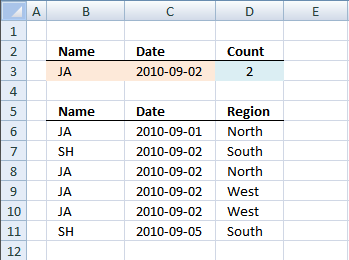 What are unique distinct rows/records? 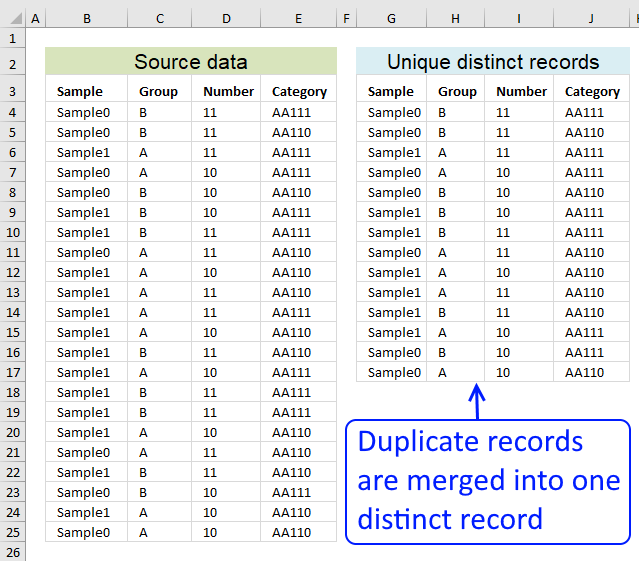 Unique distinct rows are all rows but duplicate records are merged into one distinct record, see example in the picture below.